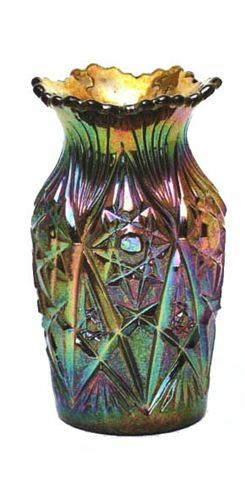 Some of the carnival glass made by Karhula Glass in Finland. 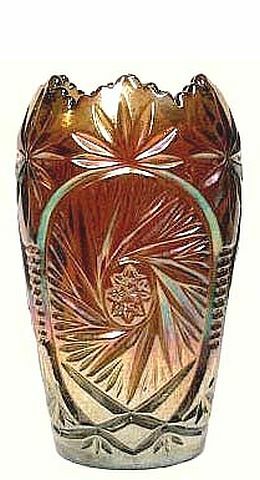 Britt Tumbler by Karhula of Finland. 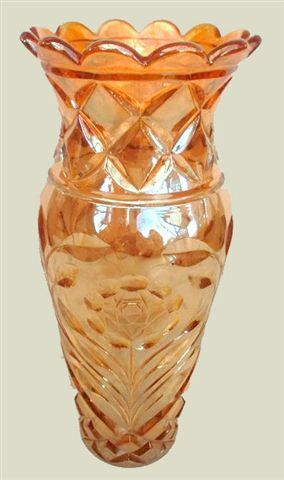 DAVANN Vase - Marigold on pink glass. 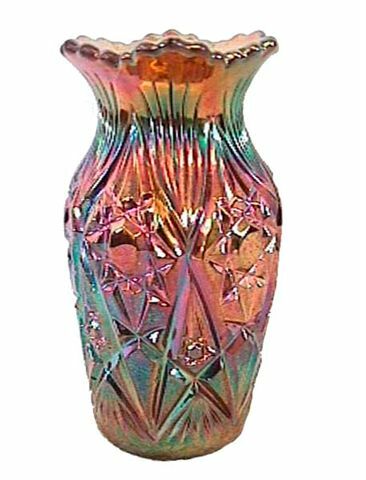 Left - Karhula Blue SPINNING STARLET Vase - 5 in. tall. 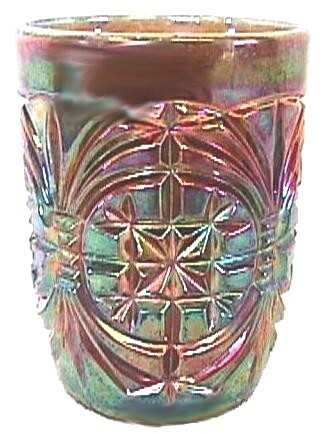 Right - SPINNING STARLET- 6 in. tall, with a 2 in. base and 16 pt. star. 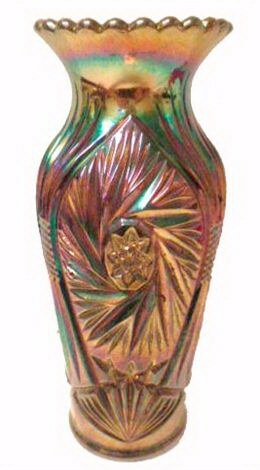 Left - Karhula SPINNING STARLET vase - 5 3/8 in. tall. 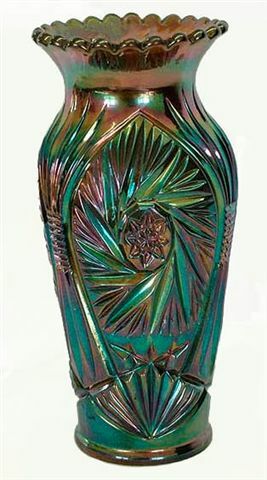 Right - SPINNING STARLET Vase - 9 in. tall. Left - STARLIGHT- a bit over 5 in. high. Right - STARLIGHT 6 inch in blue. 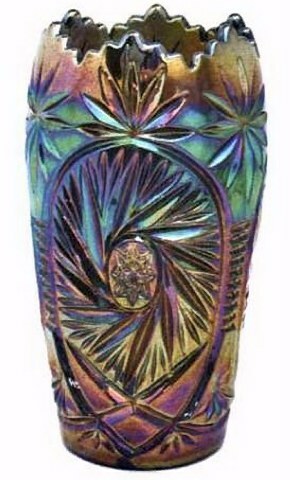 Left - SPRINGTIME Vase - 9 in.- sold for $425.-Seeck-6-10. 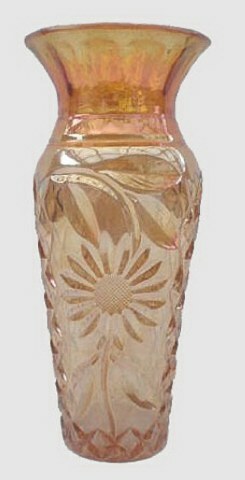 Right - WESTERN SUNFLOWER - Karhula - 8.5 in. tall.